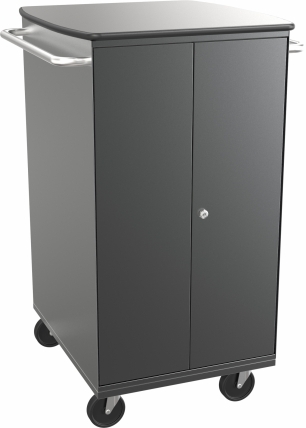 The New ELMO SyncPad Cart allows you to sync, charge and securely store your mobile device. 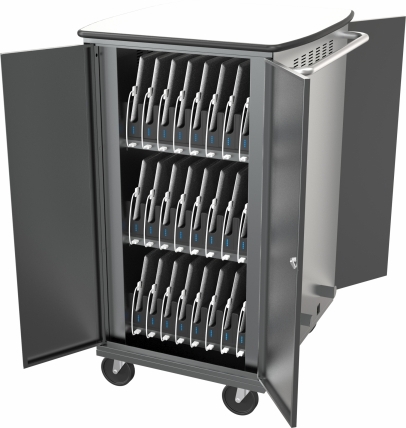 The customizable SyncPad Cart can hold up to 32 mobile devices. Five stage LED light indicators (six for syncing cart). LED attached/detached indicator. Automatic charger emulation profile cycling for USB-IF BC1.2DCP (Android, YD/T-1591 (Apple iPad and iPhone), and RIM (Blackberry) devices. Firmware is upgradable for future devices. Contact for firmware update options. Plug in Master PC/MAC and use configuration software to sync with iTunes (for Apple products) and Windows Explorer (For Windows OS). 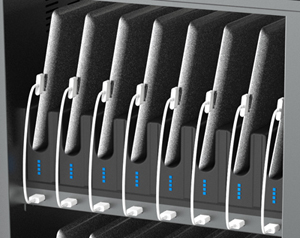 Charge different technologies such as iPad, iPod, iPhone, Android tablets/phones simultaneously. 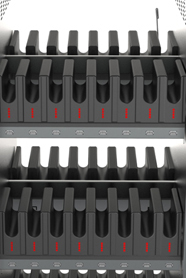 Choose from 32 or 48 tablet compartments. Plug USB cables directly into Sync Pad Cart-no need for additional adapters. 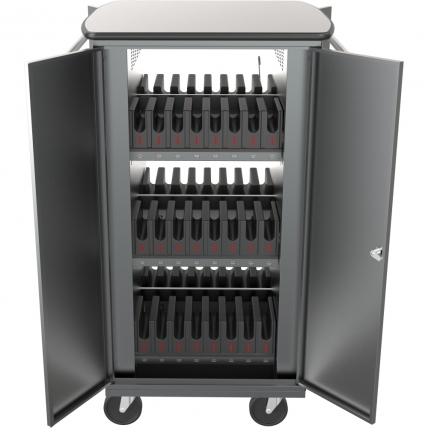 The ELMO SyncPad Cart identifies each device and charges to the proper level. Each device can be charged up to 2 amps. The LED indicator provides visual representation of charging status. 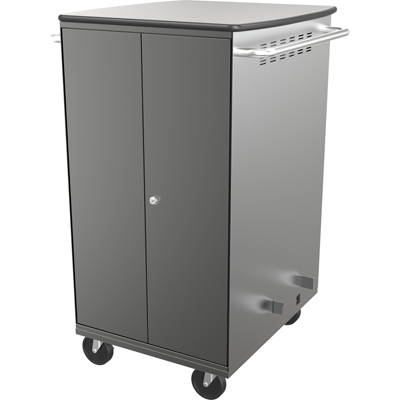 Lockable cabinet for safety and security.